Save up to 32%, why not try? Proclear 1 Day contact lenses were designed by leading manufacturers CooperVision, to offer exceptional all-day comfort. This pack contains 90 lenses. 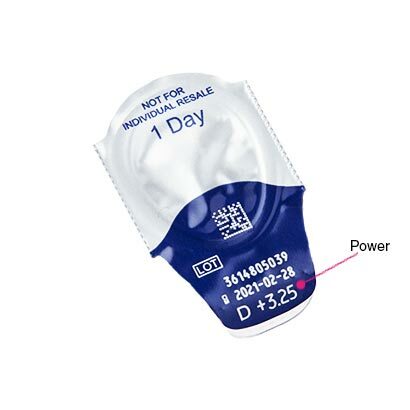 Part of the popular Proclear range, these impressive daily disposable contact lenses can stay 96% hydrated, even after 12 hours of wear, making them an ideal choice for contact lens wearers with a busy lifestyle. Exclusive PC Technology successfully binds water molecules in your natural tears, creating a shield that keeps the lens hydrated and clean. 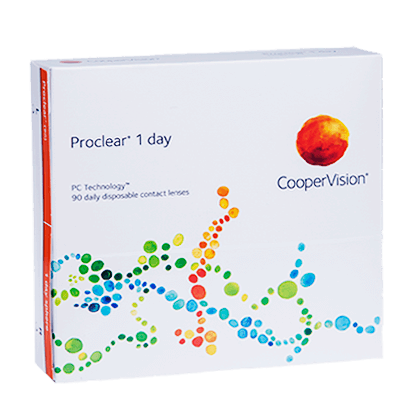 In addition, PC technology helps Proclear 1 Day contacts retain up to 97% of their original water content, whilst sustaining oxygen flow, offering true all-day comfort for contact lens wearers. Discomfort and dehydration won’t be a problem, as these lenses also provide natural wettability, reducing the build up of lipids and protein throughout the day. This makes for an exceptional hygienic daily disposable lens, that can be replaced after a full day’s use for a fresh new pair every morning. For excellent value and convenience, buy Proclear 1 Day contact lenses today at FeelGoodContacts.ie. 1 Day Acuvue Moist and comfi Daily Disposables are similar daily lenses. 1 Day Acuvue TruEye can be worn as an upgrade. I have been using this product for some years now and have never had a problem. Really good and next day delivery! Well worth it buying these a few years never a problem ???? Contact lenses easy to order, come very quickly and do the job. It''s not the best, but it''s a good balance between price and quality. An excellent contact lens which does not dry my eyes out. Reasonably priced too! Comfortable lenses and good value for money. the lenses work and are comfortable. I haven’t had any issues. They’re easy to insert, easy to take out, and they haven’t dried out on me. Better than buying from the optometrist!! Excellent Service with Fantastic Prices. Extremely reliable and fast delivery. A very happy customer indeed. Easy to order.Very fast service. On one order customer services rang me the following day to say my lenses would be late as they were out of stock. I still received them within a week. Excellent price and service.I would certainly recommend them. Cheapest lenses online & prompt delivery! Great service, great price. Now switching to feel good for good! they suit me fine, occasionally one that is split or uncomfortable. Been using these lenses for many years, and while I struggle to wear them all day, they suit my needs of wearing for dance classes or a night out. Occasionally find one or two lenses in a box that are much thicker than they should be, so need to throw them out. Good value, will order these contacts again. Good all day lenses. Easy to put in. Once these lenses are in my eyes I forget about them until it''s time to take them out at the end of the day. They are completely comfortable and the quality never varies. Love these lenses and have been using them for years. 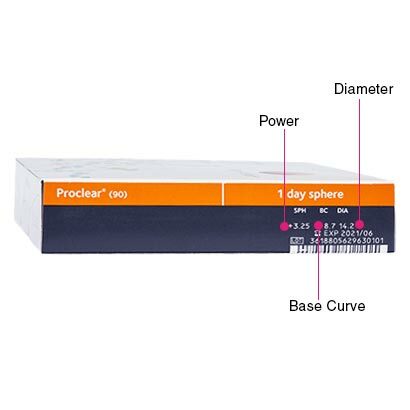 Have used proclear disposables from day 1. I''ve never had any problems with them so until I do I''ll keep on using them. I have used these for a while and they are great. I have dry eyes so it really helps having good lenses. Comfortable lenses at a fantastic price. Excellent customer experience. Simple ordering, honest low pricing and fast delivery. What more do you need? Very comfortable lenses. I never had trouble for wearing Proclear. Good contact lenses for wearing all day & for those with dry eyes. I am -11 with a stigma and dry eyes. Never had a single problem. A very easy process to buy my lenses for the year. The price was excellent, and the delivery fast. First time when using 1 day lenses and I''m loving it.